Victory at Pearl Harbor… | Paul's Voyage of Discovery & Etc. The significance of December 7, 1941 is something that most of our parents do not need to be reminded about. It was a shocking, indelible moment for them, much like September 11, 2001 was for another generation of Americans. I don’t want to spend time here comparing those two disastrous attacks: one by a hostile state, the other by a handful of extremists. That’s for another time, another post. This is a day of remembrance. 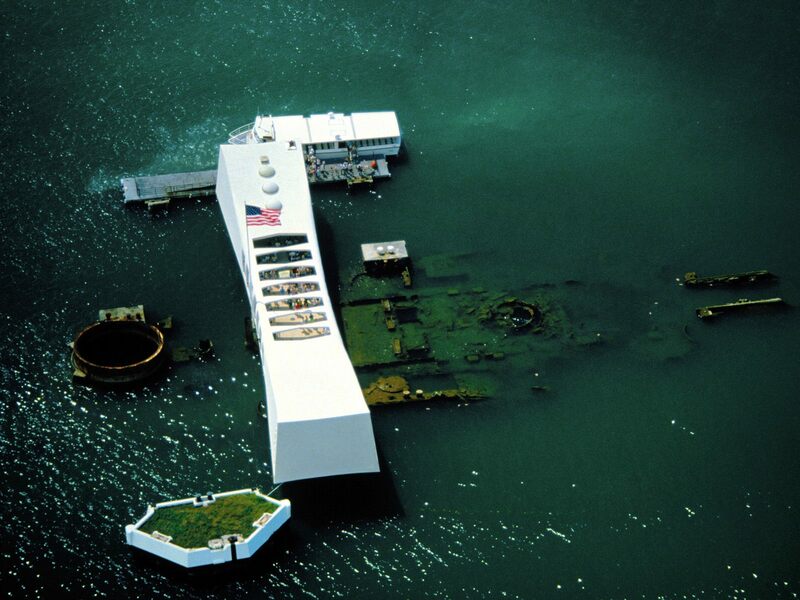 On December 7th, we remember what was lost at Pearl Harbor: the lives, the ships, the planes – our national innocence. But on this day, we should also remember the miracle of Pearl Harbor: the incredible effort that raised so many of those ships from the bottom of the harbor, patched them up – and sent them back into the fight. 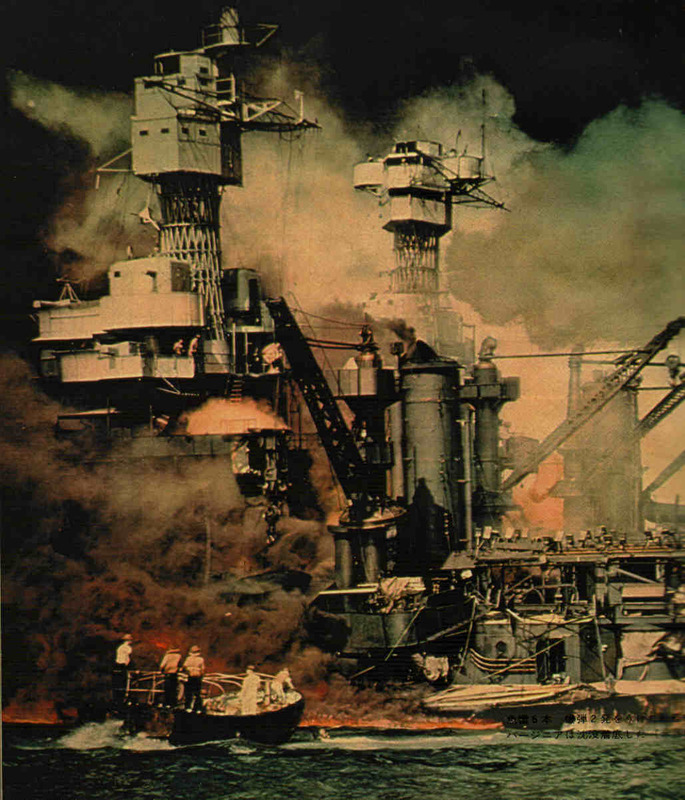 Only three of the ships that were bombed in Pearl Harbor on that day of infamy were forever lost to the fleet. And of the 30 ships in the Japanese fleet that attacked Pearl Harbor, only one survived the war without being sunk. The dynamism, optimism and resolve displayed by those military crewmen and civilians who, within months, raised and repaired the devastated wreckage of Pearl Harbor are qualities that Americans must call on once again to overcome our national challenges. Would that our leaders would spend less time sowing the fear of future attacks – and more time appealing to the better angels of our national identity. “Can do” was the unofficial motto of the Seabees, the legendary Navy outfit that led the reconstruction effort at Pearl Harbor. Where’s that American “Can do” spirit now? P.S. 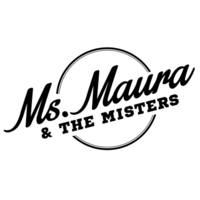 Click here for a WWII-era Pearl Harbor song I found online. It may seem a bit too upbeat at first, but in the context of our ultimate victory at Pearl Harbor, it’s not too bouncy after all. It’s got that confidence and “Can do” spirit. P.S.S. On this day, let’s remember one of the great WWII POW escape artists. If you have any pals who love The Great Escape or Shawshank Redemption, please point them toward the story of William Ash: Texan, RAF pilot, POW — and a guy who escaped the Nazi prison camps 13 times! He’s the guy that inspired Steve McQueen’s character in The Great Escape. What a splendid book! A young Texan brought up in the middle of the Depression who pulls himself up by his bootstraps, thereafter hikes to Canada to fly Spitfires for the Brits while America is still neutral. Just as the U. S. enters the war, he is shot down, and another exciting and terrible episode in his life begins. Living under terrible conditions he makes several attempts to escape until he finally succeeds in saving himself and many of his fellow POWs. This is a moving and heroic story of a young man who overcomes all obstacles with a sense of humor and succeeds in the end. Hollywood should snap this book up in a flash. Buy it, read it, enjoy it. UNDER THE WIRE is a well-written and exciting memoir of wartime captivity that is packed with incident and vividly recreates the oft-neglected early days of Stalag Luft III and the now forgotten mass escape from Oflag XXIB, Schubin — a sort of dress rehearsal for the famous Great Escape. The author himself is one of the great unsung heroes of the Second World War, as are some of those whose adventures he records in this remarkable book. It also makes a refreshing change to read a memoir by someone who is politically literate and knew exactly what he was fighting against and what he was fighting for.’ There are passages in this book – particularly those concerning the political awakening of POWs and their determination to create a better post-war world – that make the reader want to stand up and cheer. UNDER THE WIRE is everything I would expect from a memoir by Bill Ash — fast-paced, exciting and moving, but also colored by his mischievous sense of humor. He has a real gift as a storyteller — the characters and events come off the page as if we were meeting and experiencing them ourselves. Bill Ash was one of the great escape artists of the Second World War, and always managed to put himself in the centre of the action. He endured a lot, but never lost his essential humanity and zest for life, something that comes through very strongly in his book. That’s what makes UNDER THE WIRE such a joy to read — getting to know the irrepressible Ash and reliving his adventures with him. Jonathan Vance, author of A Gallant Company: The Men of the Great Escape. Nice!!! Thanks my history loving friend. You always honor our Veterans with truth, grit, and grace. Where’s that American “can-do” spirit? I guess the best the the brightest are off doing something valuable for humanity like reality TV. I’d call the average cast of “Survivor” pretty can-do. The cast of “Jersey Shore”? Not so much. 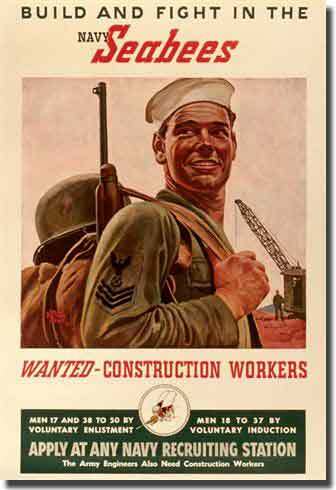 The Seabees in WW2, however, would have been one of the greatest possible reality shows! Great post to re-read Paulie. Have you been to the memorial? It’s really incredibly moving. Many sailors who survived the attack have had their remains shipped back to Pearl Harbor to be interned in the sunken ships with their shipmates. I just found a great pic of my dad shipboard in his full vestments for a service on the deck of the SS Panamint where he spent the war as a Navy Lt JG — testimony that the whole country, even the clergy, mobilized after that morning in Hawaii. I’ll send you the pic, you’ll get a kick out of it. “I sure do remember!!!!!!!! I went out to my playhouse and saw my brother, Andy, breaking my dishes because they were made in Japan. I yelled at him and called him a dummy because Japan already got the money for the dishes!!!! !I Guess it was the only way he could think of to express his anger. Wonderful tribute Paul. I learned something new today. I’ve been without Internet lately and am late catching up but always look forward to your posts as soon as I can. Aloha, Dohn. Paul, beautifully written. Along with your genius at comedy, you’re a spectacular historian.